Preheat the oven to 180°C, fan 160°C, gas 4. 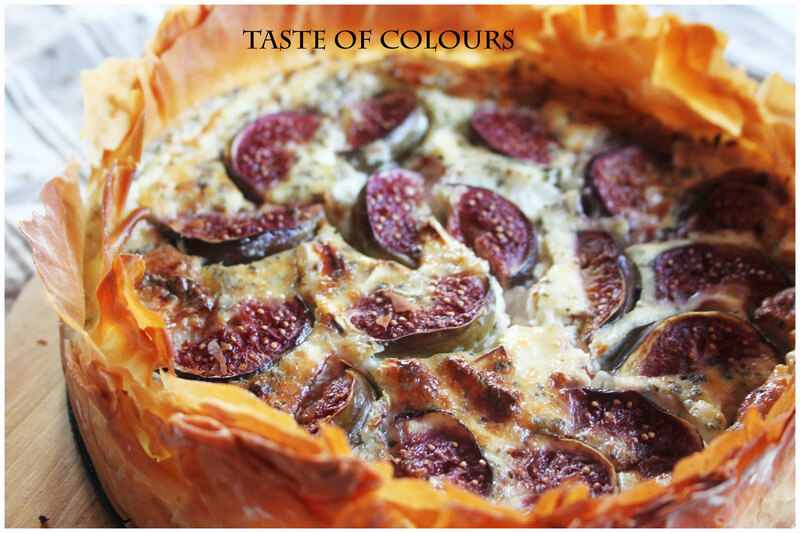 Brush an 18cm round loose-bottomed cake tin with a little of the oil, then line with 1 sheet of filo pastry. Layer the remaining sheets of pastry, laying the sheets on top of each other, brushing with oil between each layer. Put the crème fraîche, milk, grated hard cheese, eggs and chia seeds in a bowl and mix together. Stir in the crumbled goats’ cheese, season with black pepper, then pour the mixture into the tart. Arrange the figs, cut-side up, over the top and scatter over the remaining thyme. Bake in the oven for 45 minutes, until golden and set. Let the tart cool slightly, then slice and serve with the salad. 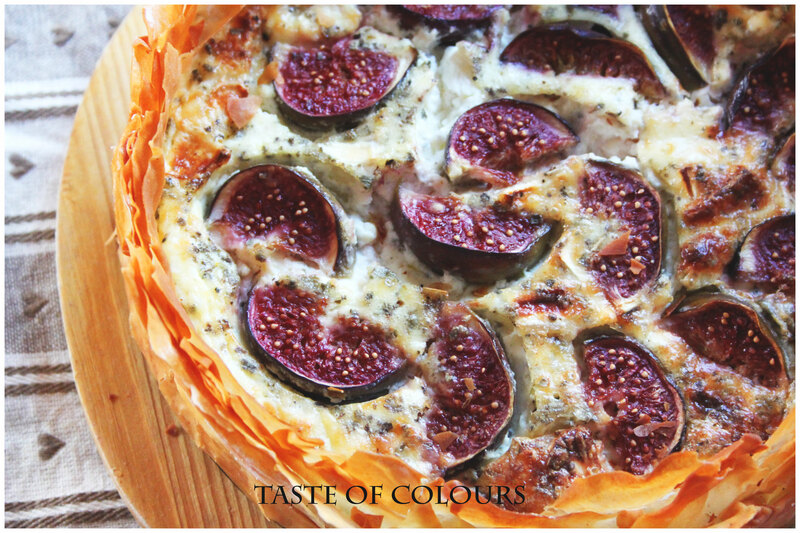 This looks great I’m always looking for new ways to involve figs in my cooking!! Your blog looks great btw, do check mine out when you have the chance! Reblogged this on Sigalle Barness. This looks amazing. Must make this sometime for the holiday season.